Classic literature has been forcefully shoved down children’s throats since at least middle school/junior high. Because we all know how effective and beneficial it is to force kids to do something right? Wrong again. But Classic literature is powerful, and it should be taught as something that can be enjoyable. It can be life-changing to read as a child grows older. Literature can also be inspirational and insightful to the issues we are struggling with within ourselves as adults. The writing style was just different in times of the past. To fall in love was written about in a much more raw and fantastical manner before the age of the internet and constant noise distracting us from the present moment, or the here and now. To feel despair and to feel lost was written with supreme sincerity and clarity. To suffer and to be oppressed was written in such heart tearing ways that you will forever understand just how much pain people are feeling at any given moment. Reading classic literature can be difficult to get started with, but once you’ve started, it’s hard to break away to read something put out recently. 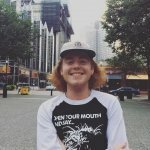 Not to say that there are not world class writers alive and creating today, but to say that there were people who dedicated their life to describing specific scenarios, events, and emotions, and did so to make sure the future generations understand those who came before them and what they lived through and the advice they can give through their novels. Starting off in the great realm of classic literature can be daunting. With so many highly praised and regarded authors it is hard to pick where to start, and then once you pick, to enjoy reading them even is a challenge. This is a list of 7 books that are great reads, simple to follow along with, and classics in every sense of the word. 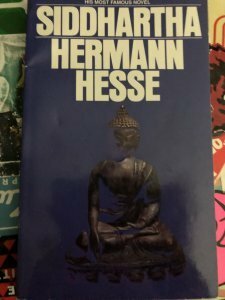 Classic #7 Hermann Hesse – Siddhartha, 149 pgs. Hermann Hesse was a German-born and Nobel Prize-winning author. He has quite a lengthy bibliography but there are 4 or 5 important works that stand out and this is one. Siddhartha is the central character in this novel. Siddhartha is also the birth name of Buddha, the founder of Buddhism. To assume that this novel has quite a spiritual element would be correct. Siddhartha travels around in search of something, possibly fulfillment, or wisdom, or deep understanding. Many people can easily relate to this story, the quest for answers to our most dramatic questions. 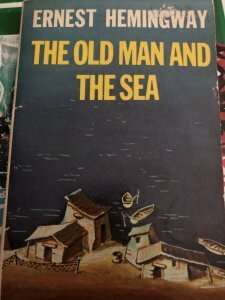 Classic #6 Ernest Hemingway – The Old Man and The Sea, 118 pgs. Ernest Hemingway is quite a famous name and for good reason. He was an American journalist, author and Nobel Prize winner He wrote a large number of publications that have been considered masterpieces, including this one. The Old Man and The Sea are about unrelenting courage and dedication. Staying strong when times are dimmer than dim. Eyes on the prize. All those inspirational sayings. This novel is written carefully and slowly, allowing the reader to grasp and feel the tension and the long hours that his character endured. Classic #5 Albert Camus – The Plague, 233 pgs. Albert Camus was a world renown writer, philosopher and Nobel Prize winner. 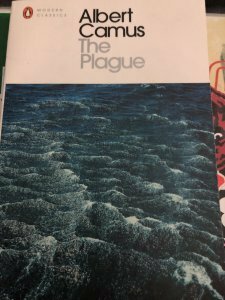 Camus is regarded in higher esteem for his philosophical work and contribution to Absurdism rather than his novels, but The Plague is a book you want to read all in one sitting. This novel is about the town of Oran, and the plague that befalls them. Camus tackles peoples’ responses to this new life of quarantine and wondered how human habits would change if a plague happened in his present time, which was 1947. Classic #4 Oscar Wilde – The Picture Of Dorian Gray, 246 pgs. Probably the most well-known novel on this list. Oscar Wilde was a poet, author, and playwright. Wilde is held in high esteem by the majority of literary commentators. 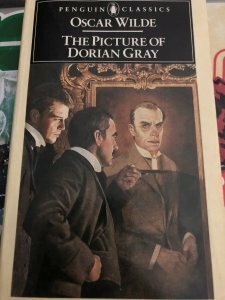 The Picture Of Dorian Gray is a tale of a man who has a portrait painted of him. But instead of Dorian aging and showing the physical signs of aging, his portrait shows the aging. Dorian fights with himself throughout the story on what he should do not only about the painting but what he should do to hold up his beauty. This novel is ever important in the present day as the struggle to consider oneself beautiful can be a constant wall and ladder to climb for people. 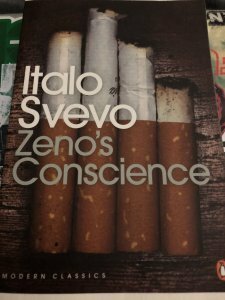 Classic #3 Italo Svevo – Zeno’s Conscience, 432 pgs. Italo Svevo is a relatively unknown writer, unknown mainly in North America where his books can be hard to find. He was an Italian businessman, writer, and playwright. Zeno’s Conscience follows the life of Zeno. A married businessman who is told by his psychoanalyst that Zeno should try and write his memoirs as a form of treatment for his various mental illnesses. Zeno decides to record his lifelong battle to quit smoking and tells the tale of how he and his wife became married. Svevo writes with wit beyond his time and is able to make a reader heartily laugh. 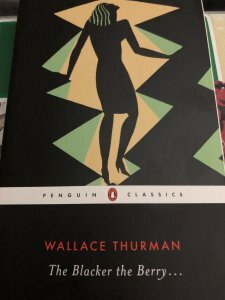 Classic #2 Wallace Thurman – The Blacker The Berry, 161 pgs. Wallace Thurman emerged during the Harlem Renaissance. Living only 32 years, Thurman produced iconic works that changed the world. The Blacker The Berry is about discrimination within the black community and tells the tale of Emma Lou Morgan’s search for acceptance in 1920’s America. She travels from her hometown of Boise, Idaho, to Los Angeles, and finally to Harlem, in New York City. This story is considered to be the first novel that openly confronts and addresses prejudice within the lives of Black Americans. 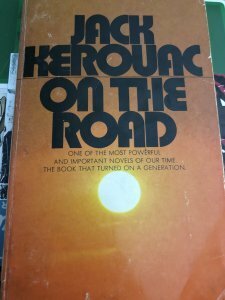 Classic #1 Jack Kerouac – On The Road, 249 pgs. Jack Kerouac is an American literary icon. One of the founding members of the Beat Generation and one of their most prolific contributors. The Road is about adventure. It’s about experiencing what is out there to be experienced. To live with freedom and with no sense of home. This novel follows the story of an aspiring writer who follows his friend Dean across America back and forth countless times, chasing love, highs, and family. If this novel doesn’t inspire you to go on a long road trip then just stay home forever.